It’s hard to imagine that 20 years have passed since the arrival of the beloved franchise on the television screen. 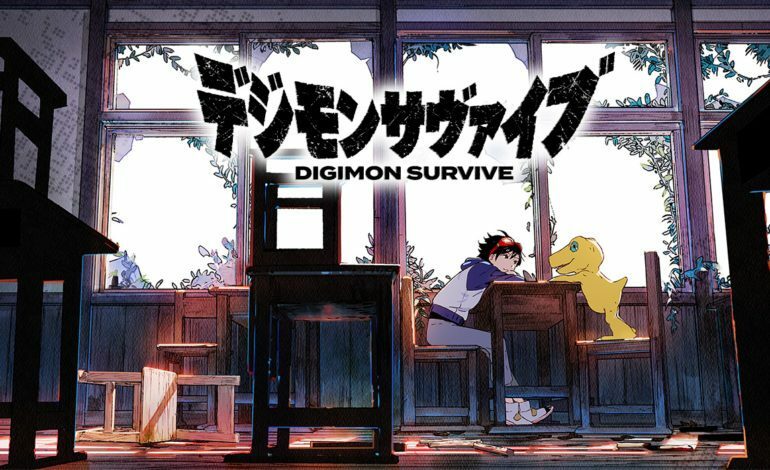 To celebrate the widely loved series, Bandai Namco has officially revealed a new game in the works, a “survival simulation RPG” called Digimon Survive that will launch in both Japan and the west. Accompanying the celebration was the announcement trailer and a live stream that dives into the story and gameplay. Players take on the role of Takuma Momotsuka and his trusty Digimon companion, Agumon. After wandering off in the wild, Takuma becomes lost in a mysterious world, an alternate dimension filled with danger and death. In order to break free, he must work together with his Digimon and other characters along the way. As this is a Digimon game, combat will naturally rely upon players using multiple digital companions to fight enemies. Interestingly enough, Digimon Survive distinguishes itself from other titles with its mixed-genre gameplay. The simulation aspect of the title revolves around certain visual novel elements. Takuma must explore the world around him and talk to the characters that are also present in the alternate dimension. To survive, players must make choices that will affect the outcome of the story, and progression may evolve as a consequence of certain decisions. Like many visual novels before it, the final ending may change depending on the player’s actions and conversations. Takuma may even lose companions along the way. For the combat system, Survive plays a lot like a traditional turn-based tactics game, similar to Final Fantasy Tactics. Beautiful, fluid 2D sprites are set on a lush 3D map with various topographical arrangements to supply an additional layer of strategy to the game. Players must arrange and move their Digimon accordingly to maximize the combat potential of their team. It’s clear that Bandai Namco is aiming for the nostalgic factor of the older generation to market the game: those that grew up carrying around their own digital pet and tuning in to watch the show every week. However, Digimon Survive looks like a refreshing take on the 20-year-old IP, a mash-up of two popular genres that may appeal to newcomers as well. Both the RPG elements and story mechanics differ from recent titles like Digimon Story: Cyber Sleuth and its sequel. Though Digimon Survive is officially confirmed to release in the west, specific dates are still unknown. It will launch on Nintendo Switch, Xbox One, PS4 and Windows PC in 2019. The game also launches in Japan in 2019 for the Nintendo Switch and PS4.